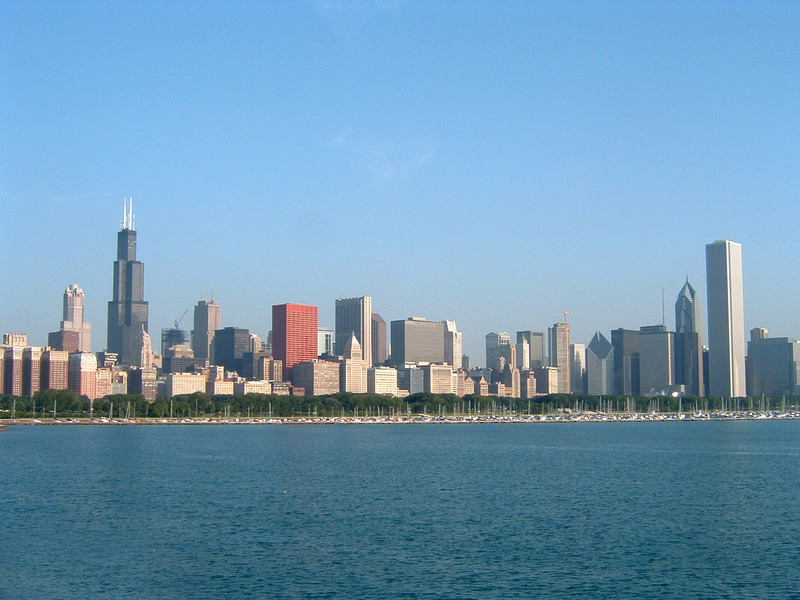 I took this photo of the Chicago skyline from the Adler Planetarium in 2004. You're welcome to download this image and set it as your wallpaper. If your screen size exceeds the dimensions of the image, the image will not fill the full width and height of your screen . The wavy lines on some of the buildings are an artifact of resizing and don't show up when the image is viewed at full size (the width and height have been scaled to fit on this page). NOTE: If you intend to use this image for commercial purposes I require monetary compensation. Please contact Robert D. Hughes if you have any questions. Right click on the saved image and choose Set as desktop background (or a similar command) from the menu that appears. Right click on the photo and select "Download Image to Disk" and save the photo to your desktop, or simply drag the photo with your mouse to the desktop. Then, right click on the desktop and select "Change Desktop Background". A window should pop up that says "Appearance". Click the button that says "Remove Picture" which will change to "Place Picture". Navigate to the file named "chicago-skyline.jpg" and select "Open". Then click the button that says "Set Desktop". Go into your device settings, click the entry for wallpaper or background, locate the image, and set it as the wallpaper.